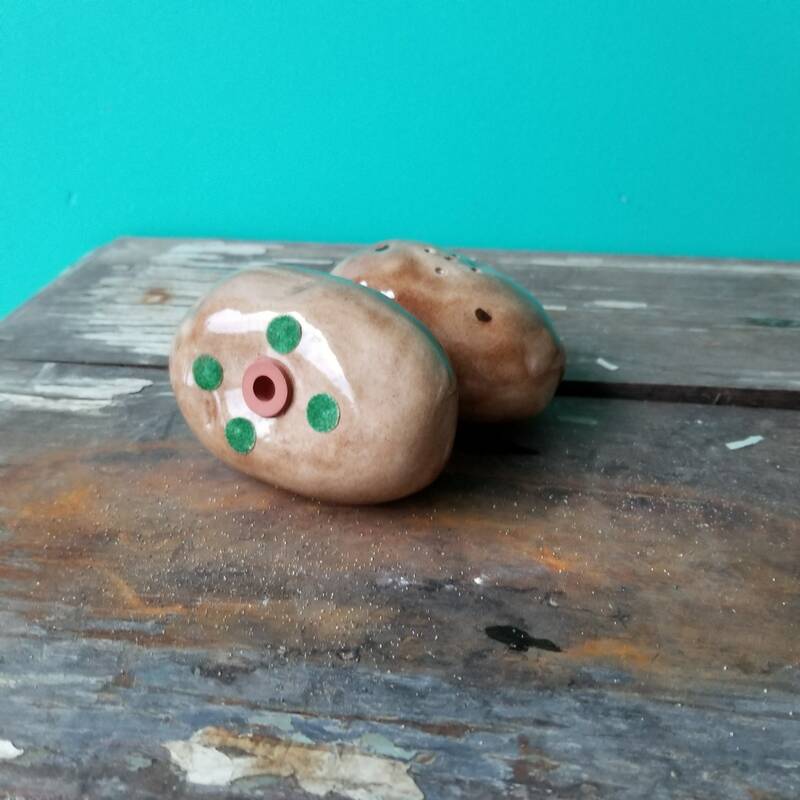 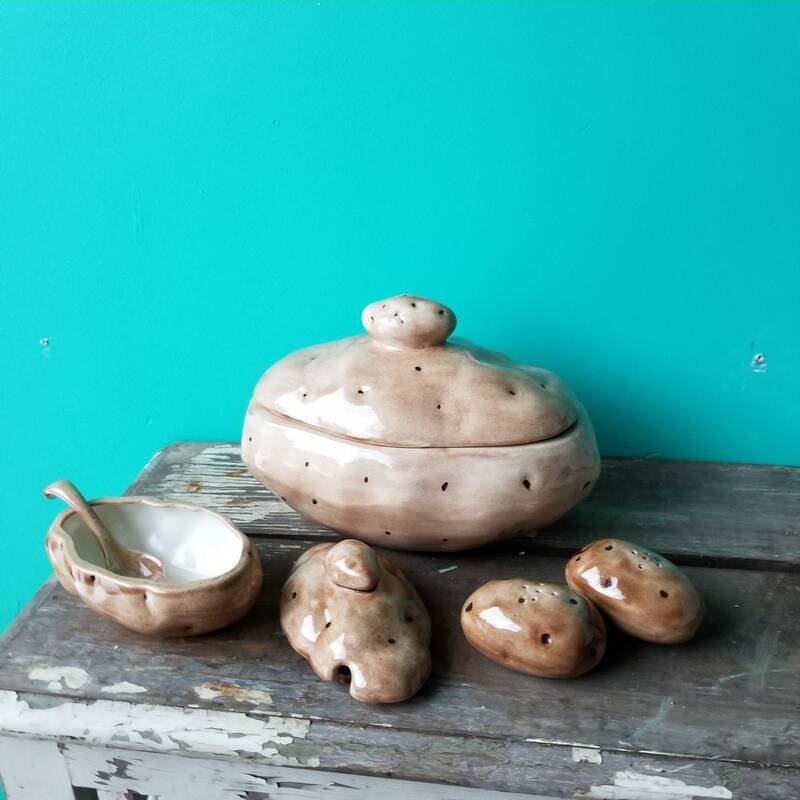 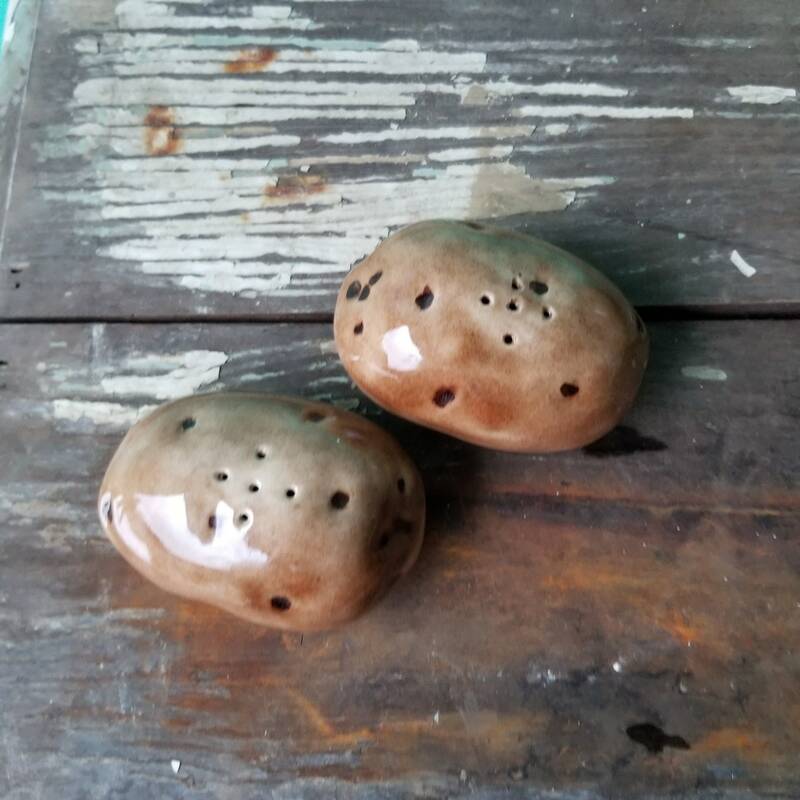 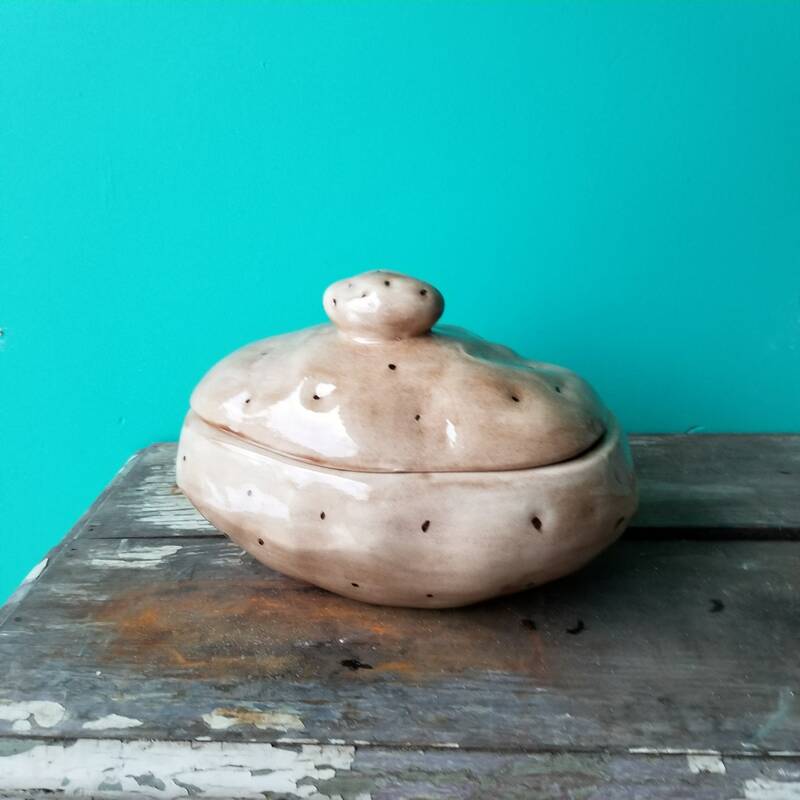 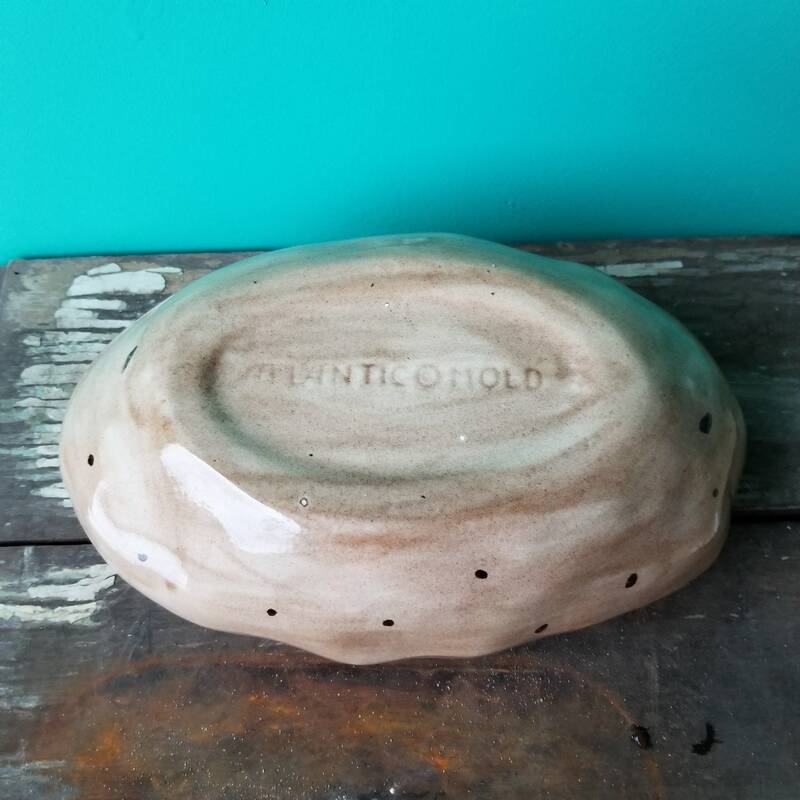 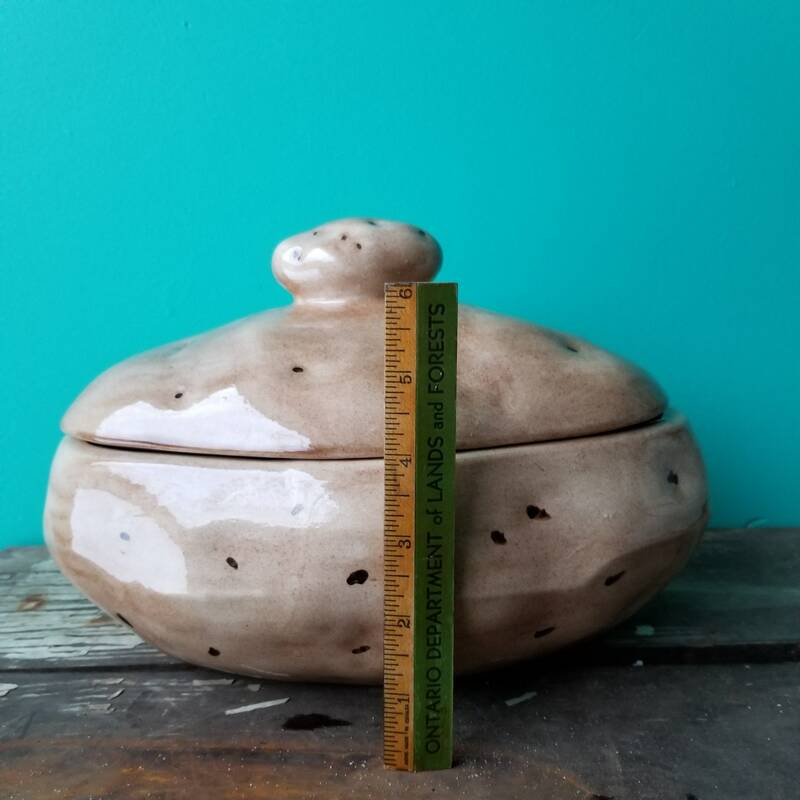 This potato lover's serving set was made by Atlantic Mold a company prolific in the creation of ceramics of all sorts from figurines, vases, jars and canisters, to ceramic Christmas trees. 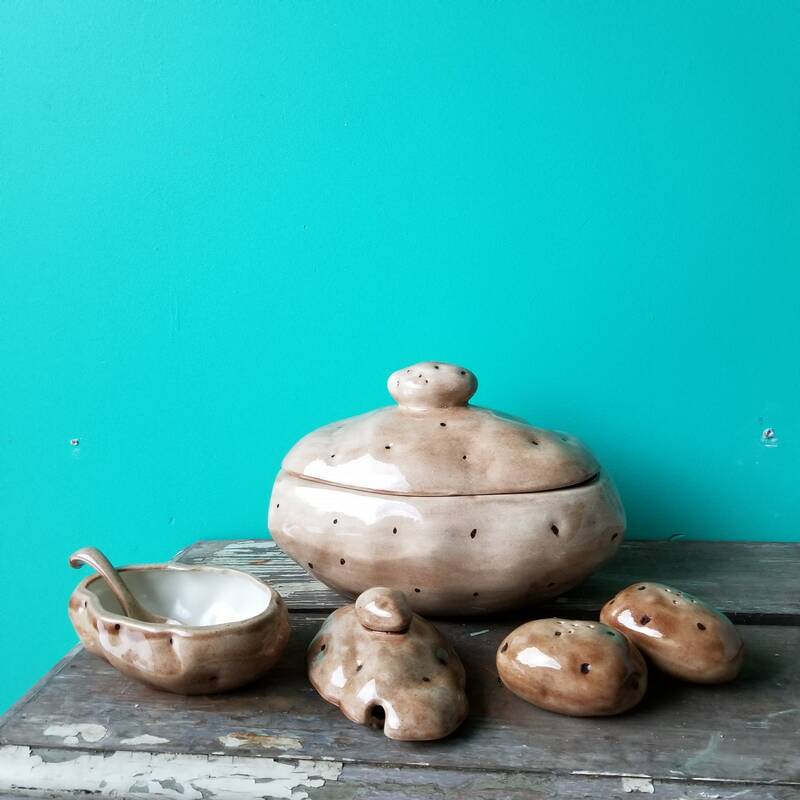 This set is in very good condition without any scratches, chips, stains, or crazing of the finish. 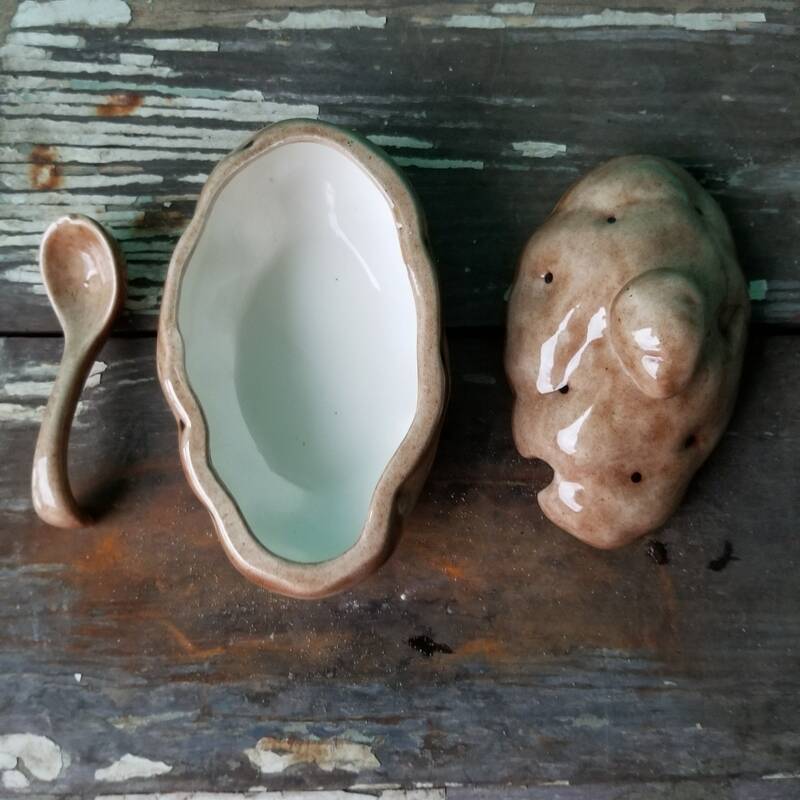 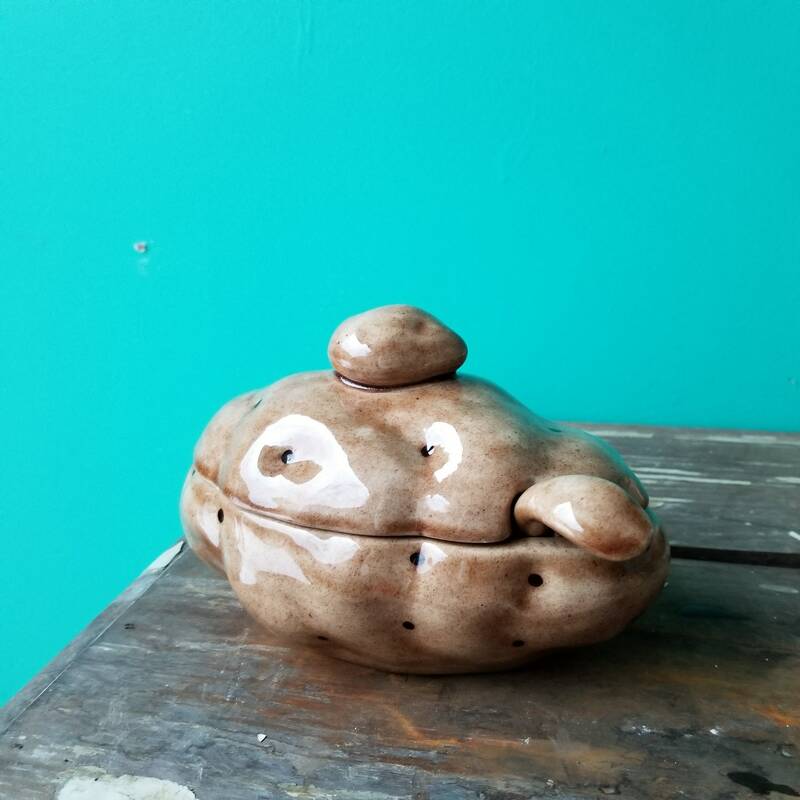 Includes large potato bowl, gravy bowl with spoon, salt and pepper shakers with stoppers and felt feet intact.